It is unbelievable that we have already made it to the second to last WFPK Winter Wednesday of the season- thankfully, it appears these cold, dreary months are flying by because of how busy we have been. The line-up for this month included local artist Joan Shelley and Matthew Ryan. We have talked a lot about how 91.9 introduces us to new bands and music from around the world, but I don’t think I’ve mentioned how hard they push local artists. Joan Shelley, among many other local artists, gets daily exposure from our favorite radio station. It seems like every single Waterfront and Winter Wednesday includes at least one Louisville act. This radio play and the opportunity to perform at these popular, free shows is huge for bands looking to get their name out there. “Something Small” off of Shelley’s latest album, Electric Ursa, has been played pretty regularly by FPK DJs. The fluidity of her voice made me very excited for her live performance. As is usual, expectations were met. Each song that she and her talented band played had a certain effortless depth that is hard to match. As is becoming customary, we made our way over to the merch table and found Ms. Shelley to be quite personable. We purchased a copy of Electric Ursa and even got it signed by the burgeoning artist. We didn’t have the chance to stick around for Matthew Ryan-we snuck out early to have dinner at the brand new Germantown neighborhood joint, The Post (CHECK IT OUT PEOPLE! )- but from what I’ve heard it was a fun show for those in attendance. 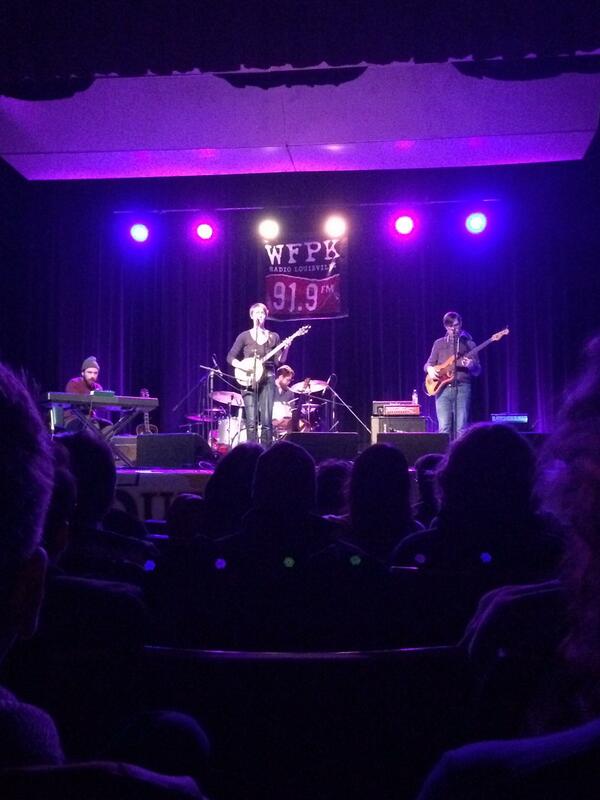 The last Winter Wednesday of the season will occur on February 11th and include Sarah Jaffe and The Soil and The Sun. Then it’s a short month break before Waterfront Wednesday season! !